Soo I am in Hong Kong for a couple of days visiting my sister, and whenever I’m on a trip it’s always such a privilege for me to be able to cook for my family ! 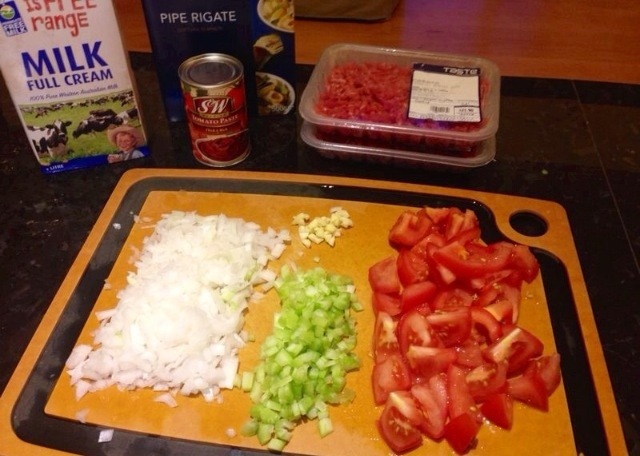 My sister loves pasta so I decided to make one of her favorite sauces which is the bolognese sauce. 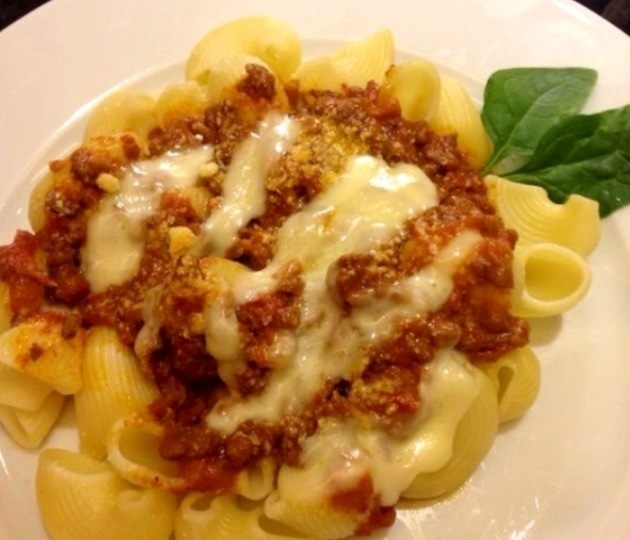 ~Bolognese sauce is an Italian meat-based sauce for pasta which originates in Bologna, a city in Northern Italy. 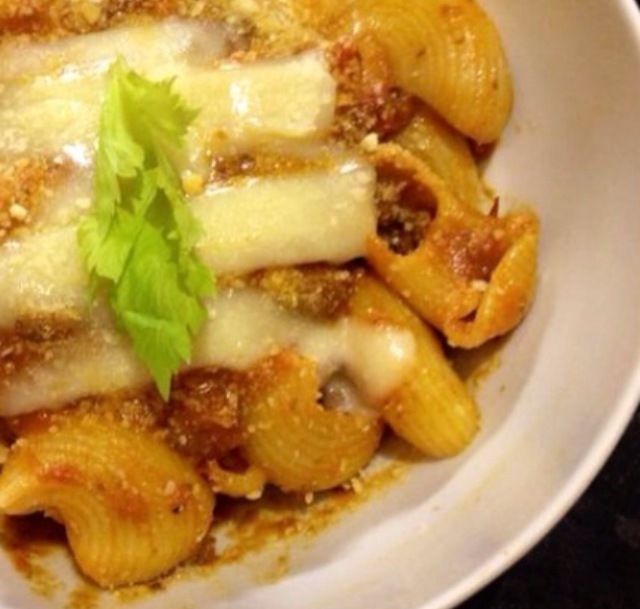 It is a thick, full-bodied meat sauce that’s a staple of northern Italy’s Bologna. PS~ the pasta can be of your own choice 😊 homemade is even better. We had pipe rigate, and fetuccini at home so we used that. 1. 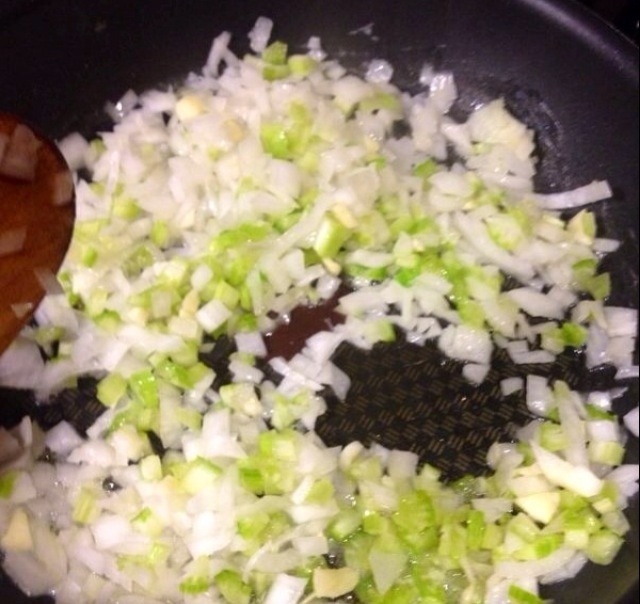 Melt the butter in a heavy-based pan, Add the onion, garlic, celery, and bay leaves, stirring well. 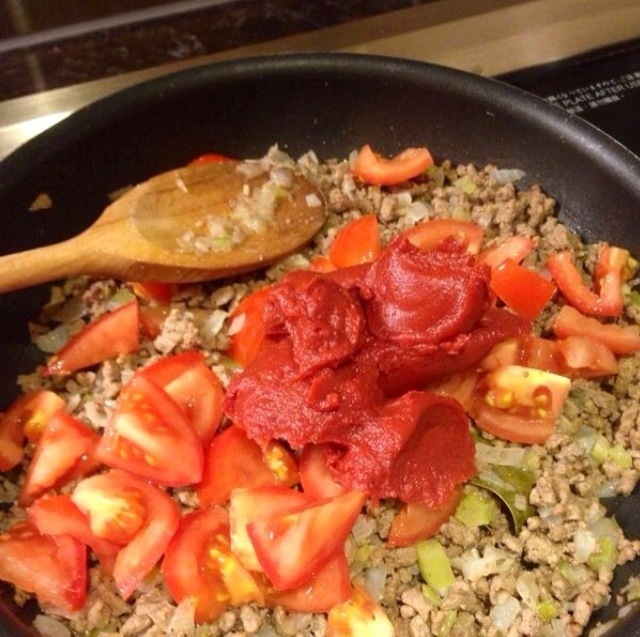 Leave to cook for 8-10 minutes over a medium heat, stirring frequently, until the vegetables are tender. 2. 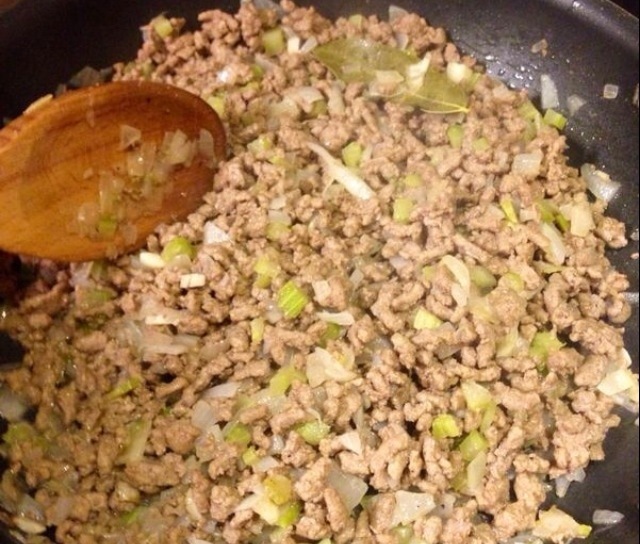 Turn up the heat and tip in the minced beef , breaking it up well with a wooden spoon. Leave to cook without stirring for 3-4 minutes, or until the bottom is browned, then stir again and cook for a further 3-4 minutes, or until golden-brown all over and cooked through. It came out amazing ! If you have any questions don’t hesitate to ask ! 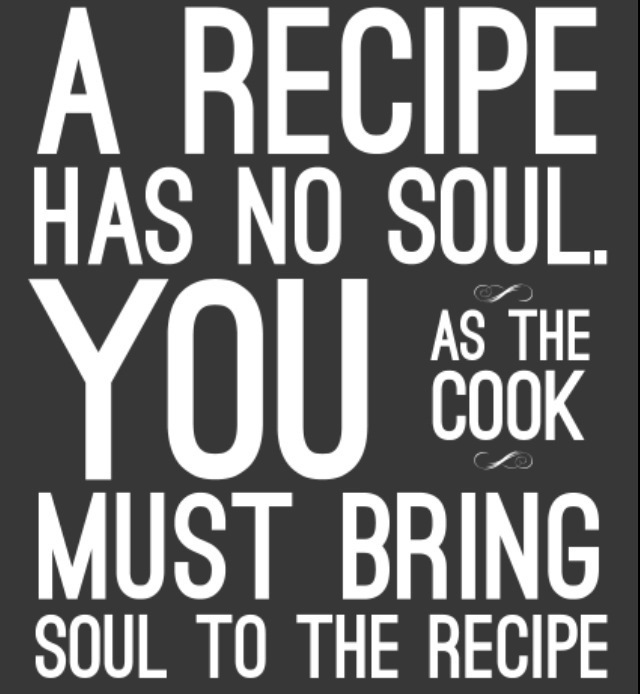 Ofcourse we must bring soul to the recipe 100% agreed! That Bolognese pasta was Amazingly to die for!!! Thank you for preparing this dish for me and Curro! We really enjoyed your stay with us in a Hong Kong. Thank you and we hope you could come visit us again soon! Classic. As much as I try to eat vegetarian, this is one dish that’s hard to resist.